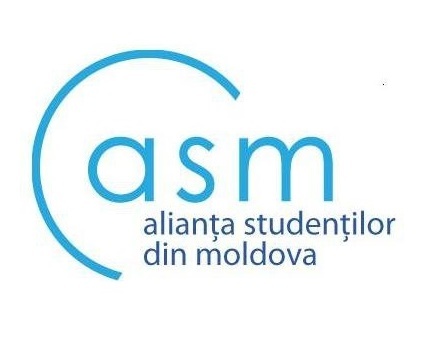 The Students’ Alliance of Moldova (ASM) is a nongovernmental and apolitical umbrella organization that is as a unique national platform for the associative student sector. The Alliance assures the representation of interests, as well as the promotion of and respect for the rights, of over 100,000 students in the Republic of Moldova. ASM was founded on February 20, 2000 by a group of enthusiastic students who understood the importance of student movements and the need for student representation at the national level. Currently, ASM brings together over 10 member student organizations at the local and national levels, fighting together for student self-governance, for mechanisms of student representation, and for partnership in the education process. A quality education system accessible to all students, equal opportunities for all groups of students; and plenary student involvement in the higher education governance process. We support and represent the rights and interests of students and their organizations in order to achieve their potential, regardless of social profile or membership. We contribute to the creation of a favorable environment for collaboration and exchange of experience among member organizations. to promote and respect students’ rights and support student initiatives, through competent representatives, acting in defense of democratic liberties and rights. ASM activities are governed by values and principles that guide our path toward student representation. Among these guiding concepts are equality, transparency, nondiscrimination, equity, tolerance, competence, unity, and dedication to the rights and interests of students. In recent years, ASM has specialized in several areas of activity, including the analysis and development of analytic and procedural documents; student trainings (in the domains of anticorruption, time management, and professional development); the strengthening and capacity building of student organizations; and the supply of opinion and commentary on policy documents in the field of education.